Recent advances in the characterisation of genetic alterations that underlie tumorigenesis have enabled the development of novel targeted compounds aimed at treating advanced cancers, opening the door for personalised cancer therapies. Unfortunately, tumours are often drug resistant or recur after treatment cessation, resulting in very low survival rates for patients with advanced cancers. Preventing post-treatment recurrence would therefore dramatically improve patient survival. Post-treatment recurrence of seemingly responsive tumours implicates subpopulations of cancer stem cells (CSCs) that display higher resistance to cytotoxic compounds than other cancer cells and exhibit plasticity/adaptability in the face of treatment, leading to their enrichment in residual tumour tissue after therapy. The self-renewal ability of this surviving cell reservoir then allows the subsequent initiation of tumour recurrence. Effective therapy may therefore require the additional targeting of CSCs, in combination with current treatments directed against highly proliferative cancer cells. Results obtained by our team over the last few years have contributed to increasing the knowledge on mechanisms that regulate CSC survival, self-renewal and drug sensitivity. 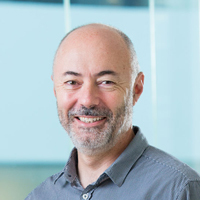 Based on our extensive expertise in cancer and systems biology, clinical oncology, in vivo imaging and genomics, and using multiple models that include patient-derived primary and metastatic cells from colorectal and other cancers, our projects aim to characterise molecular pathways involved in regulating tumour cell plasticity and self-renewal so as to target plasticity/self-renewal pathways to prevent post-treatment relapse. Translational outcomes include the identification of predictive biomarkers and the validation of therapeutic targets to predict and prevent post-treatment recurrence, thereby improving patient survival. National Health and Medical research council of Australia (NH&MRC) Project Grant “Volatile Anaesthesia and Cancer Recurrence” (2018-2020). National Health and Medical Research Institute (INSERM), France, and The University of Melbourne partnership program (2018-2021). Paquet-Fifield S, et al., Tight Junction Protein Claudin-2 Promotes Self-Renewal of Human Colorectal Cancer Stem-like Cells. Cancer Res. 2018 Jun 1;78(11):2925-2938. doi: 10.1158/0008-5472.CAN-17-1869. Morel AP, et al., A stemness-related ZEB1-MSRB3 axis governs cellular pliancy and breast cancer genome stability. Nat Med. 2017 May;23(5):568-578. doi: 10.1038/nm.4323. Brown DV, et al., Expression of CD133 and CD44 in glioblastoma stem cells correlates with cell proliferation, phenotype stability and intra-tumor heterogeneity. PLoS One. 2017 Feb 27;12(2):e0172791. doi: 10.1371/journal.pone.0172791. Qin Y, et al., Laminins and cancer stem cells: Partners in crime? Semin Cancer Biol. 2017 Aug;45:3-12. doi: 10.1016/j.semcancer.2016.07.004. Grillet F et al., Circulating tumour cells from patients with colorectal cancer have cancer stem cell hallmarks in ex vivo culture. Gut. 2017 Oct;66(10):1802-1810. doi: 10.1136/gutjnl-2016-311447. Planque C, et al., Pregnane X-receptor promotes stem cell-mediated colon cancer relapse. Oncotarget. 2016 Aug 30;7(35):56558-56573. doi: 10.18632/oncotarget.10646. Xie J, et al., High expression of TROP2 characterizes different cell subpopulations in androgen-sensitive and androgen-independent prostate cancer cells. Oncotarget. 2016 Jul 12;7(28):44492-44504. doi: 10.18632/oncotarget.9876. Giraud J, et al., Autocrine Secretion of Progastrin Promotes the Survival and Self-Renewal of Colon Cancer Stem-like Cells. Cancer Res. 2016 Jun 15;76(12):3618-28. doi: 10.1158/0008-5472.CAN-15-1497. Arsic N, et al., The p53 isoform Δ133p53β promotes cancer stem cell potential. Stem Cell Reports. 2015 Apr 14;4(4):531-40. doi: 10.1016/j.stemcr.2015.02.001.